An Daras is an outreach of the Lowender Peran festival. 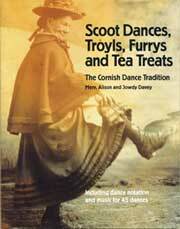 Our aims are to promote Cornish cultural identity and Cornwall's links with the other Celtic countries. Many of the items in our shop are available for free download but if you are in a position to to make a small donation it will help us keep the site on line and fund further projects. A donation link via pay pal is provided. This pack was created to provide dances for an adult dance workshop giving a chance to see the range and variety of Cornish dance. i.e. step dance, troyl dance, furry dance. A CD is provided at about normal dance pace. We hope it provides the same enjoyment to other groups as it did to the international dance class at Cecil Sharp House who were the original guinea pigs! 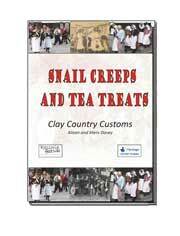 This is a downloadable pack with e-book and mp3 audio files. A link will be sent on reciept of payment. Pack with A5 book plus CD of music. 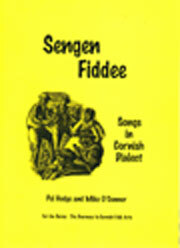 A4 book with words and music for 30 Dialect Songs including:Trelawnee, Goyn Up Camburn 'ill, Jan Knuckey, KeenleeLoad. 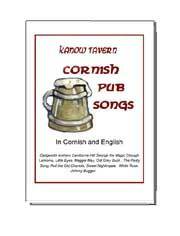 Lamorna, Liddel Eyes, Maagee May, Nawthen Cept you, Tha Ol Grae Duck, Ol Mallee Pijee, Pasty Song, Tom Bawcock's, Trura Ager-icultural Shaw. Available as an E-book (pdf format) £2.00 download link sent on notification of payment. including Maggie May, a song which, for many, became synonymous with him. 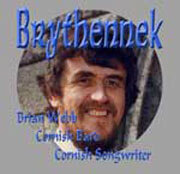 15 Songs in English and Kernewek from Brian Webb, Cornish Bard and Songwriter. 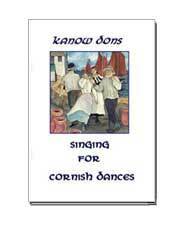 His songs have come to form a core repertoire for Cornish singers. 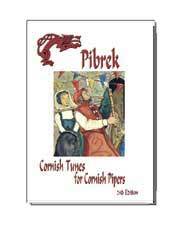 Music arranged and played by Pyba using a variety of bagpipes including the Cornish Double Chanter set. 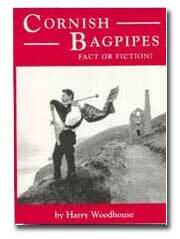 This is an interactive CD, play in the normal way on your CD player or use with a computer to access pictures, music files, music script and more detailed information about bagpipes in Cornwall. 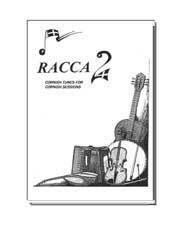 Between 1995 and 1997 the RACCA project captured a snapshot of tunes played at Cornish sessions, some traditional and some contributed by the composers. 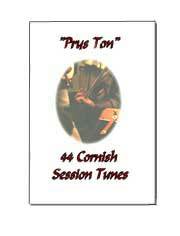 With nearly 300 tunes this remains the definitive reference for Cornish session and dan ce tunes. It is now out of print but we have a small number of copies left from the original project. 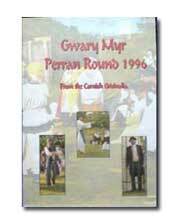 A selection of stories taken from archive footage of the Lowender Peran Festival in Perranporth, Cornwall. Each story is a unique interpretation of a tale or event remembered by the individual storyteller from the ’first-timers’ to the ’pros’, and most stories told are in the informal setting of a storytellers session. 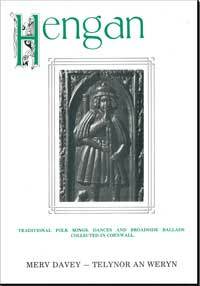 DVD with Archive footage of the extract from the Cornish Ordinalia performed as a community production in the summer of1996 at the ancient site of St Piran Round. A5 book with 68 pages of information and illustrations describing the known facts about this instrument, where they it was played and what for.